Re: I am not really sure if they are skimming the cream either .. If Olympus had been aggressive in pricing, the D7100 would have been toast this Christmas. Oh please. Here (USA), Olympus can't even get their product on store shelves, and have virtually no advertising. ...right now it seems like Panasonic and Olympus are both skimming the cream from the enthusiasts who are willing to pay a premium for their gear. Many, and those who know what to do with it, take the second option. But there really is a market for the first option, and there are a lot fewer choices in that space. There are a ton of APS-C cameras on one side, and pretty much only the Nikon 1 on the other side - that leaves nobody but Panasonic and Olympus in the middle. So right now M43 occupies it's own market niche, and there seems to be enough demand at that point in the spectrum to allow Panny and Oly to maintain their current high prices. I am not really sure if they are skimming the cream either ..
And I was wondering ..
Re: And I was wondering ..
Re: Good point also ..
How would anyone know ..
Re: How would anyone know ..
Re: At which point exactly? It's like you would say, ..
Impact of mFT on Nikon DX line is NIL. Re: Impact of mFT on Nikon DX line is NIL. Re: How do you know it? 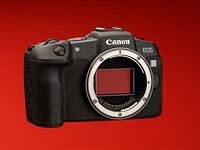 Wow, so many stores (and stories) ..
How do you get to it ..
Re: I thought to ..
How many people have actually bought the E-M1?